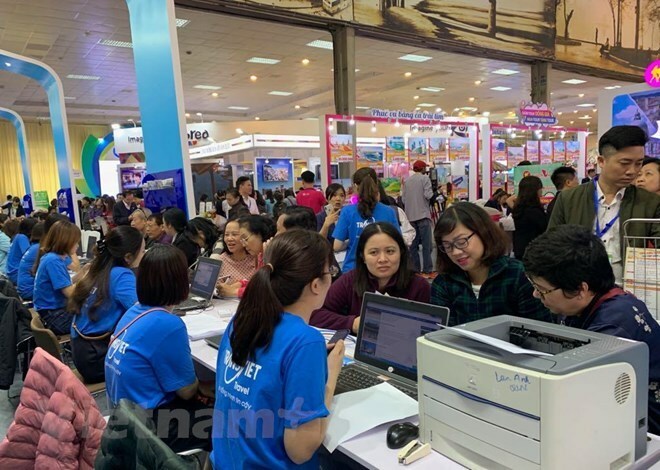 Hanoi (VNA) - The Vietnam International Travel Mart (VITM), which took place in Hanoi from March 27-30, attracted 30,000 customers with a turnover of 322 billion VND (14 million USD). “This year, the VITM welcomed 500 enterprises from 47 cities and provinces; and 27 countries and territories,” according to Vu The Binh, a member of the organising board. Around 65,000 people visited the event. The organising board launched a survey for the participating businesses, which said 74.5 percent of them have committed to continuing participating in the VITM in 2020. On the occasion, the Vietnam Administration of Tourism (VNAT) signed an MoU with Vietjet Air to enhance co-operation to boost tourism and promoting the country’s image to the world. “We expect that Vietjet Air will help connect Vietnam to the world through more direct flights,” said Sieu.